Continuing our wines under $10 theme, we’ve got an interesting Carmenere for you from Chile; the Xplorador Carmenere, 2011. You’ll notice a well balanced, impenetrable red hue that still comes with a certain brightness. On the nose, you get a sense of mineral and spice and on the palate, an interesting mix of plum, berries and toffee. A thoroughly smooth mouth feel, with a medium finish. I served this Carmenere with some ‘before BBQ cheese’ (yes, I made that up). My audience was made up of a heavy full bodied red wine drinker, a Pinot Noir drinker, and a Riesling drinker. 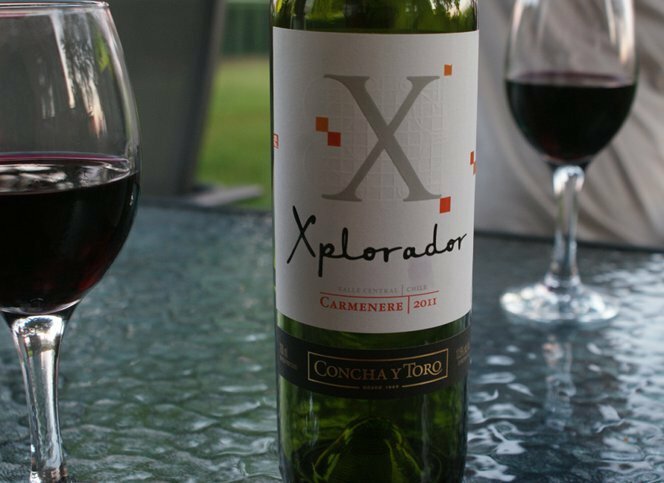 The Xplorador Carmenere was a hit for all, except one, who claimed it was, “ok”. In my opinion, this Carmenere is a trusted go to, when you are looking for a general, but yet good wine for an everyday event.